Such is the open source nature of the Android ecosystem, that it presents itself as an attractive prospect to malware makers, and other such unscrupulous entities. It’s often the case that potentially dodgy apps circulate outside of the confines of the Google Play Store, and thus, by avoiding third-party download services, Android users can remain relatively safe. 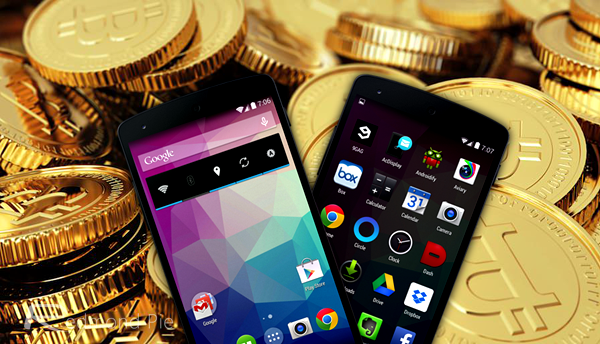 However, renowned security firm Trend Micro has just discovered a new type of bug that can secretly turn devices into digital currency miners, and worryingly, at least two Play Store apps are thought to have been affected. The mining of cyrptocurrency requires greatly powerful machines in order to produce effective results, and thus the potential strain this malware could place upon a mobile device is not to be understated. Seasoned miners of currencies like Bitcoin and Litecoin often spend a great deal of money in building powerful setups that can handle the immense strain and remain fit for purpose, but while our mobile devices have gotten considerably more powerful over the past couple of years, they’re not quite ready for a task so strenuous. Trend Micro has noted that such is the manner in which the malware infiltrates a device, that an Android smartphone or tablet could be turned into a digital currency mining hub without the knowledge of the user. 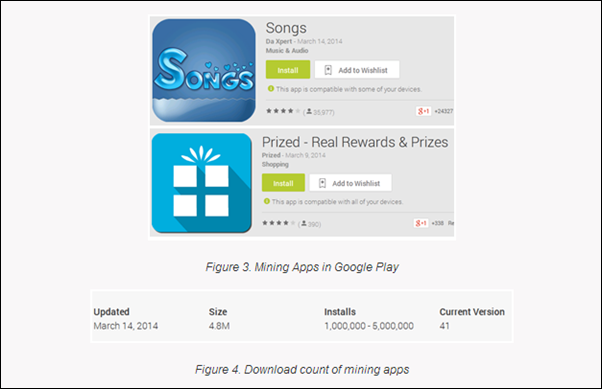 Apps containing the secret mining code, according to the security firm, are Prized and Songs – the latter of which has been installed between one and five million times. Both apps have been tweaked to mine when a device is on charge, which in turn, makes the activity less suspicious. If it were to be mining without charge, it would have given itself away by draining battery at a rapid rate, and as such, would probably have been discovered long before millions of users could download the aforementioned apps. In a sense, then, the malware has been implemented in a clever way, and given that it has avoided detection for so long, it’s hard to argue that whoever is behind this scam has half a brain. If you have either of these apps installed on your device, you could do a lot worse than to delete them immediately, and hopefully, Google will dispel them from the Play Store sooner rather than later.